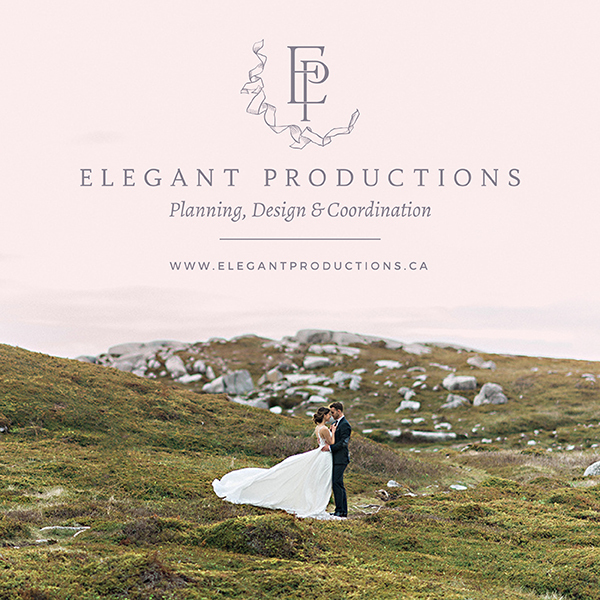 We'll never get tired of featuring weddings, engagements, and styled shoots that happen on the picturesque East Coast of Canada, and Ashley and Austin's coastal engagement shoot in Herring Cove, Nova Scotia is no exception. 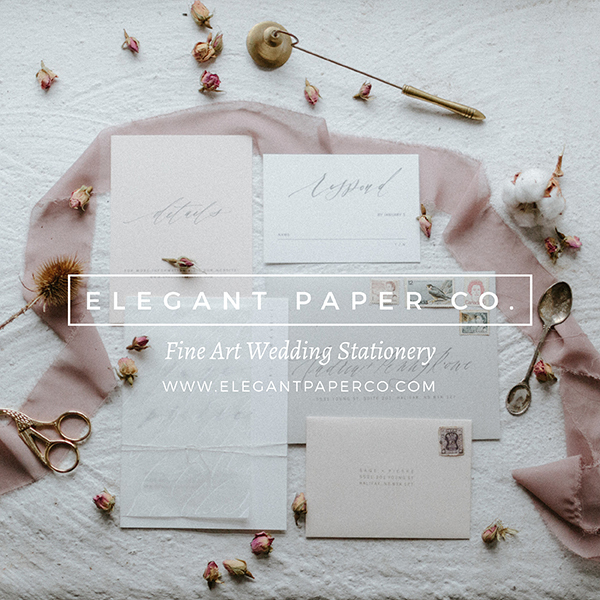 Be sure to scroll down to see all the photos, captured by Chelle Wootten Photography. 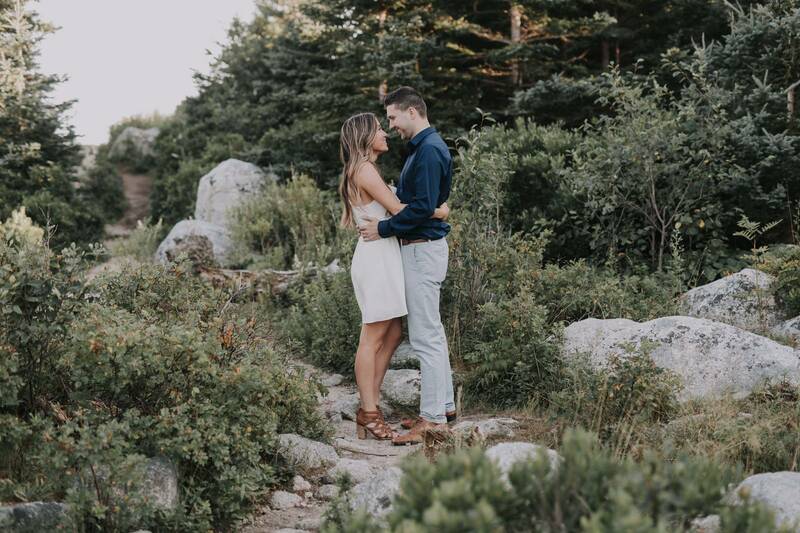 "Austin and I met at Dalhousie University in Halifax through mutual friends. At the time we were both in relationships, several years went by before we ran into each other again. I messaged Austin after that and we went on our first date. 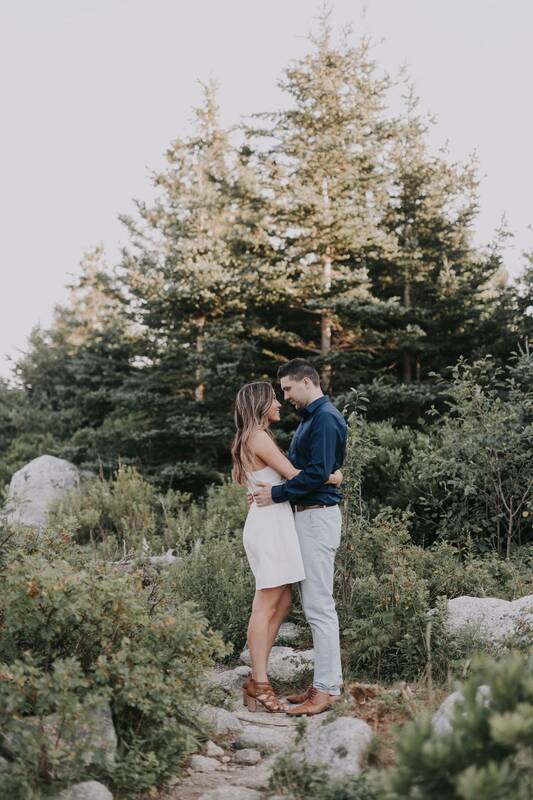 Austin proposed on a moonlit beach outside of Halifax and had made dinner plans for us afterward. I was too excited to share the news with my family and we decided to skip the dinner to tell my parents the news, of course they already knew as Austin had asked their permission the night before. 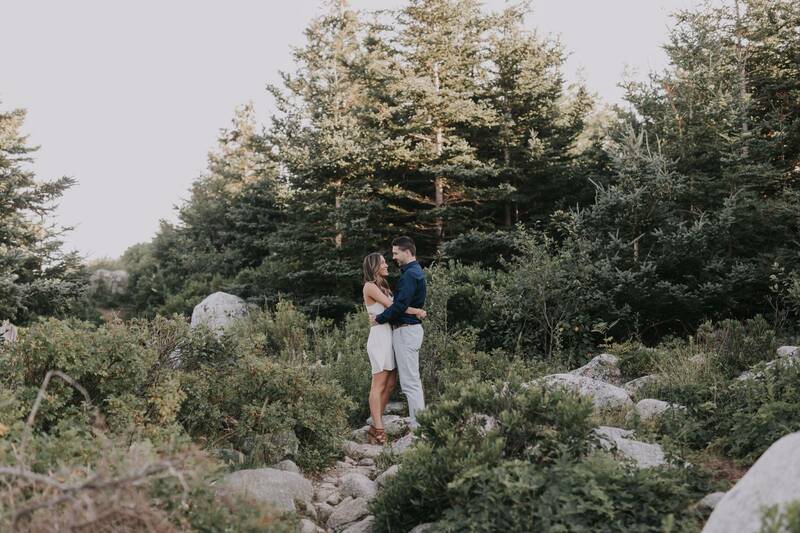 Our engagement photos were taken at the Herring Cove look off. It is a beautiful area showing off Nova Scotia’s rocky coastline and is surrounded by forest."